Thanks to all of you who made the Mad Mad May Contest a hair-pulling hit! As for how to get hold of the game if you're tempted, but not one of the lucky winners, don't be fooled by the sparsness of information on the Ethereal Darkness Interactive website. 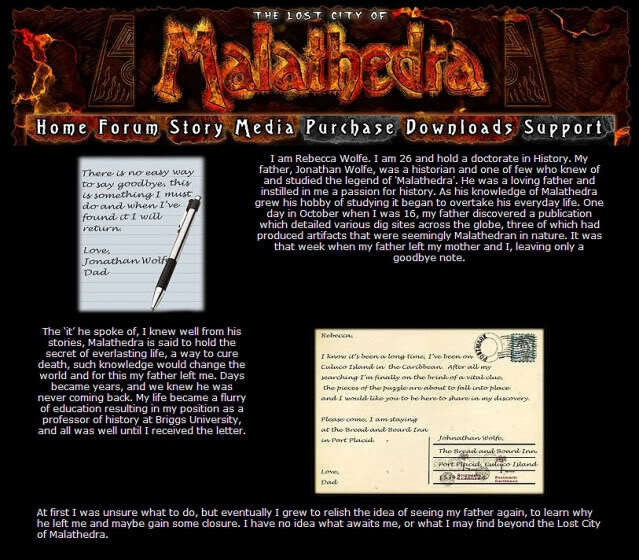 Their game, 'The Lost City of Malathedra' is still available for purchase by download. Raymond Jacobs, owner of EDIGames, and who so kindly donated five downloads of his Adventure game so that they could be used as prizes, tells me that each of his games to date are PC compatible only (sorry Lady Kestrel), and will run fine on systems with Windows 2000, Windows XP, Vista and Windows 7. EDIGames have two other games for sale on their website. 'Morning's Wrath' is a roleplaying Adventure which is featured on Moby Games: Morning's Wrath on Moby Games and reviewed on Just Adventure here..
Their other game, entitled 'Static Investigator Training', is an intriguing looking FMV Adventure billed as "A Paranormal Adventure Through the Haunted Past of the Houghton Mansion of North Adams, Massachussetts". It has its own website where, I believe, a demo can be downloaded and played before you consider buying the full game. Static Investigator Training. A review of the game can be read here. 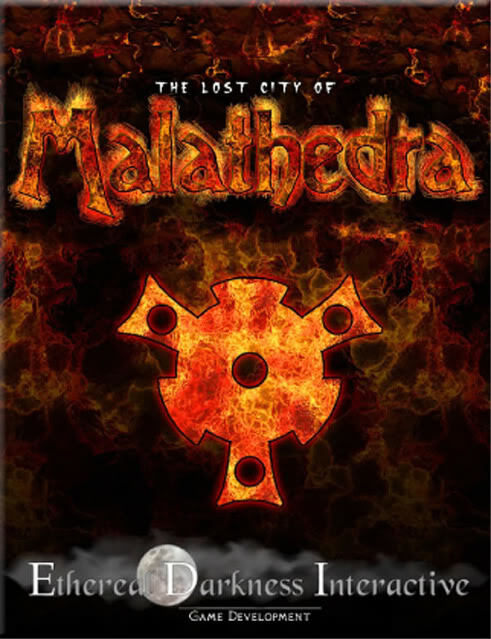 'The Lost City of Malathedra' itself was developed by EDIGames in 2008 and received encouraging reviews from reviewers at Gameboomers, Adventure Classic Gaming, and others. For those who get stuck on any of its puzzles, Gameboomers have an excellent walkthrough available here and, if your interest has been sparked, you can read a little about 'The Lost City of Malathedra' on Adventure Point's feature page for the game here. 'The Lost City of Malathedra' can be purchased here. Thank you Gelert. I have started playing The Lost City of Mathedra. I am enjoying it very much. The website for the game also has a forum that is very helpful if you have a problem. Raymond is also very quick to answer you. I'll echo your thanks Hatshepsut ! It does look like an interesting game ! I may just download it later . Right now , I'm deep in conversation with Mr Holmes ! A riveting conversation actually, & it's going to be a lengthy one ! I've started with Mystery Of The Mummy , & the "conversation" will conclude with Sherlock Holmes vs Jack The Ripper . I'm playing them back to back . Sherlock vs Jack arrives today . After the conversation is over, I'm not sure . May play Black Mirror II , or S.T.A.L.K.E.R : Call Of Pripyat . Maybe the Art Of Murder series , or Darkness Within series . Very good fps games ! There's a story, but it's fun just to blow stuff up !! Sometimes it is fun to just blow things up.